Now that HTC has unveiled the HTC One M8, it only seems natural to compare it to the other major new Android(s goog) smartphone out there, Samsung’s Galaxy S5. I’ve compared some specs for each phone in the chart below. I’ve also spent a bit of time with each phone, and can say how many of these features measure up based on my experience. This first comparison is a tricky one, because both phone displays look great. 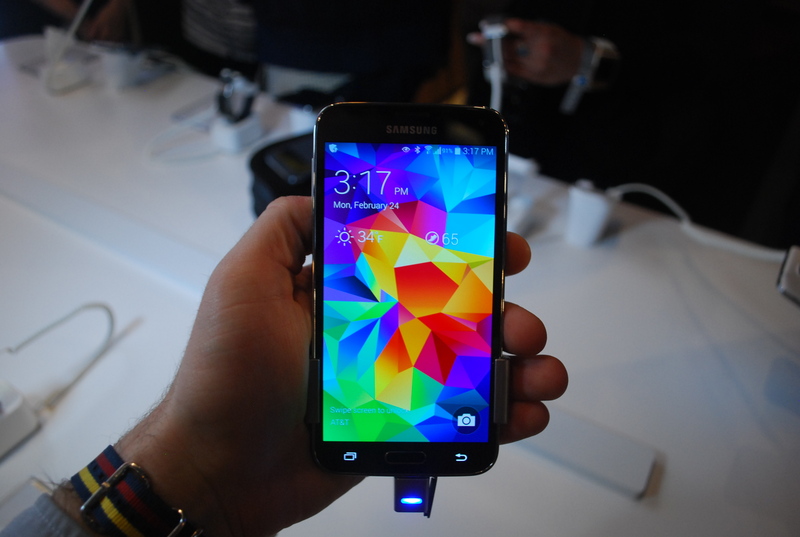 The Galaxy S5 has a 5.1-inch, 1080p panel, while the M8’s display measures 5 inches. The HTC One has a slightly higher pixel density, due to its barely smaller screen size, but you really can’t tell the difference with the naked eye. Luckily, both screens are very bright, with vivid colors and good viewing angles. You won’t be disappointed with either one. You might be a little disappointed by the Galaxy S5’s design, though, which is made of plastic and doesn’t feel particularly high-end. That’s especially true when you compare it to the HTC One, which features a gorgeous metal build. In my opinion, it’s the best looking Android(s goog) phone on the market, and definitely the phone to get if you’re big on design. Size-wise, I found both phones to be very comfortable. They’re big devices, but neither of them quite reaches into “phablet” territory. It’s worth noting that the Galaxy S5 is slightly smaller and lighter all around, even though it has a larger display. I didn’t feel a noticeable difference when handling either phone, but I haven’t held both of them at the same time. 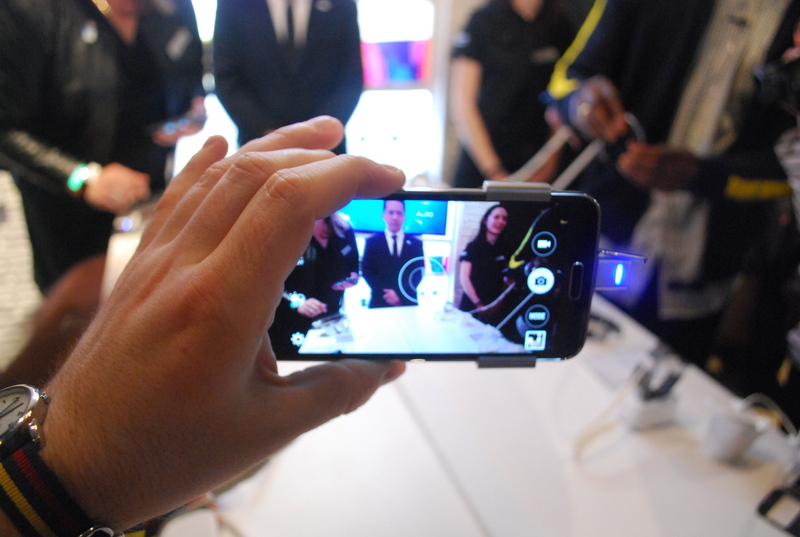 Both the Galaxy S5 and HTC One M8 are powered by Qualcomm’s(s qcom) new, super-fast Snapdragon 801 processor. The Galaxy S5 will ship with a 2.5GHz quad-core chip, while U.S. models of the M8 will feature a 2.3GHz quad-core processor. That shouldn’t make a big difference as far as power and speed are concerned. Qualcomm’s chip is among the fastest silicon currently available, and both phones operated flawlessly when I got a chance to handle them. Battery life isn’t quite as close. The Galaxy S5 has a 2800mAh battery, which is slightly larger than the 2600mAh cell in the HTC One M8. But the Galaxy S5’s battery is removable, which means you can carry a spare, while the M8’s battery is permanently sealed in. Both phones come with software features meant to expand battery life by days when down to just a 10-percent charge, but if battery life is your main concern, the Galaxy S5 offers more flexibility. Both phones stack up evenly when it comes to storage, though. You can get either device with 16 or 32GB of internal storage. And both feature a microSD card slot, which allows you to increase you to add up to an additional 128GB. I haven’t had a chance to put these cameras to the test, but based on my experience with the previous generation of devices, as well as some of the early HTC One reviews out there, my money is on Samsung. The Galaxy S5 features a 16-megapixel camera, along with some cool software features like Live Preview, which allows you to see a photo with a filter or HDR before you snap it. And Samsung claims it has the world’s fastest autofocus in as quick as 0.3 seconds. 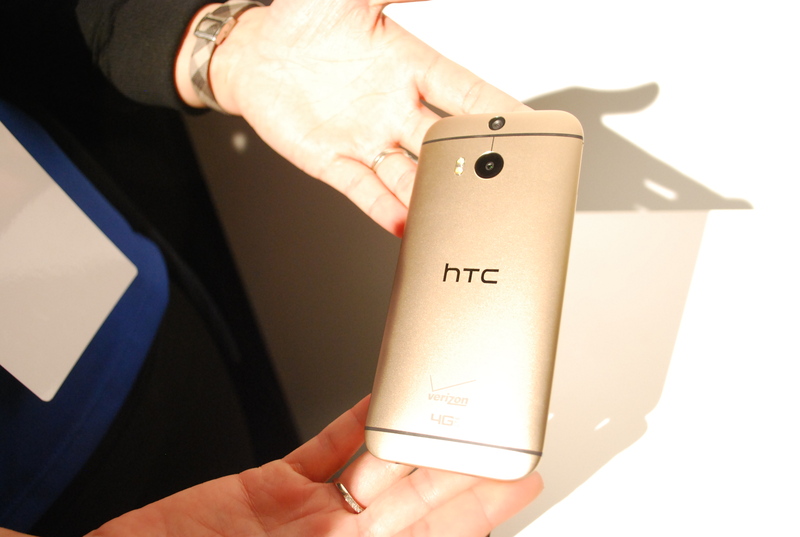 The HTC One M8, on the other hand, has the same 4-megapixel “UltraPixel” camera as the original HTC One. The idea is that the phone uses larger pixels to capture more light, rather than more detail. So while you might not be able to shoot a sharper picture than the Galaxy S5, in theory you can get a better shot in lower light. But my experience with the first HTC One proved this just wasn’t true. Sure, it did a decent job in low light, but it was not resoundingly better than the Galaxy S4. I don’t think a minor gain in light is worth a significant hit against detail. HTC has added a second rear sensor, which allows you to change the focus on pictures after you take them. And the phone has a 5-megapixel front-facing camera, which means you should be able to take some of the sharpest selfies possible. But I’m mostly interested in replacing my digital camera, and I think the Galaxy S5 has a better shot at doing that. As for software, both phones run Android 4.4 KitKat, so it’s really a tossup of whether you prefer the overlay from Samsung or HTC. Both are better than we’ve seen from either company in the past, though neither is close to stock Android. HTC offers Sense 6 and BlinkFeed, which is a Flipboard-like homescreen replacement. Samsung, meanwhile, scales back a bit from the overbearing presence of TouchWiz on previous devices, and adds some cool apps like S Health, which works with a heart rate monitor on the back of the phone to measure your heart rate. While many of the basic features look similar on a spec sheet, each phone offers a few completely unique features. 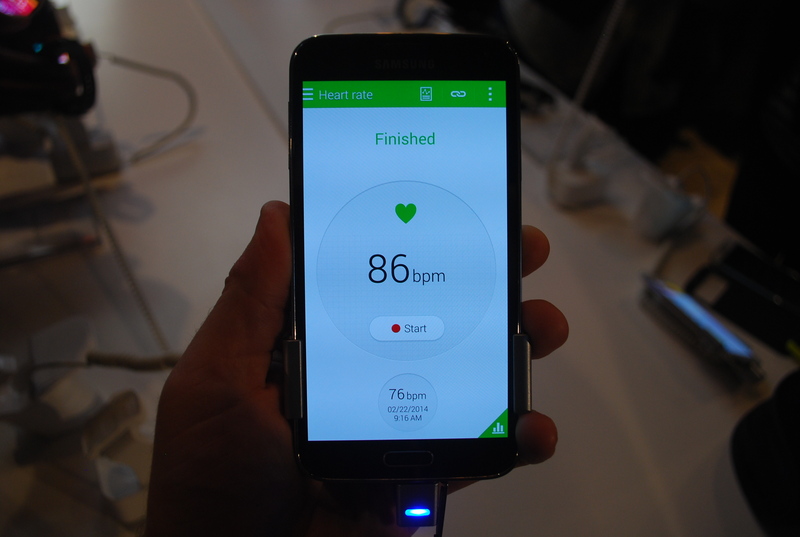 As mentioned above, the Galaxy S5 has a heart rate monitor, which is great for fitness buffs. It also has a fingerprint scanner that allows you to unlock the phone, like the iPhone 5s(s aapl), though it might not be quite as easy to use. The M8, on the other hand, offers a wide range of motion controls that automatically detect when you pick up the phone. This lets you unlock the device or perform a number of other tasks without even needing to hit the power button. And the HTC One’s dual front speakers are the best I’ve heard on a smartphone. 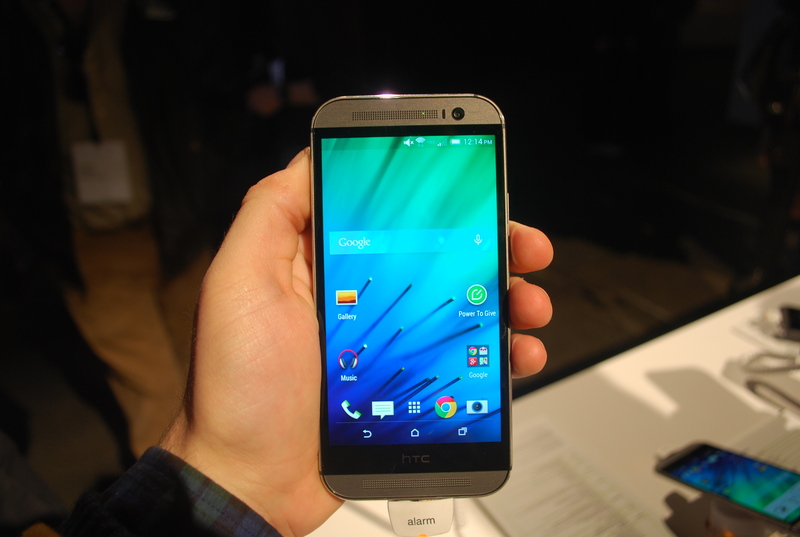 Each phone costs the same ($199.99 on a two-year contract, though you get 16GB of storage on the Galaxy S5 for that price compared to 32GB on the HTC One), and each will be readily available throughout the U.S. in just over two weeks (though if you can’t wait, the HTC One is available from Verizon Wireless stores right now). Picking a winner is harder to call than pretty much any other comparison I can think of. But that’s a good thing. Both of these phones share many similar features, and both represent the best of Android right now. That said, I don’t think either of these phones is the clear-cut victor, at least after my limited experience with each of them. Instead, I think they each appeal to a slightly different audience. If you’re more interested in good design and snapping selfies, the HTC One is a better choice, thanks to its stunning build and high-resolution front-facing camera. But if you’re looking for a handset to replace your digital camera, the 16-megapixel Galaxy S5 is likely to offer a better overall photo experience. These phones are sure to inspire plenty of debate, but ultimately, you won’t be disappointed with either. This post was updated at 12:18pm to show that the HTC One M8 comes with 32GB of storage for $199.99. Thatâ€™s done little to quell the flurry of smartphone announcements in the last few weeks, although another Mobile World Congress 2014 may have gone and come. In between the fairly recently-in depth Google android Put on and Samsung Galaxy S5, there are many appealing products touting the Google android operating-system and forcing cellular processing one stage further. 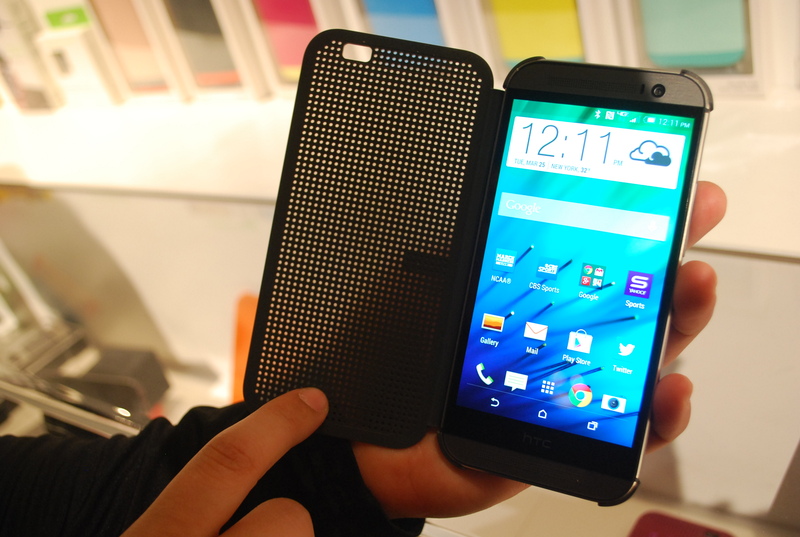 HTCâ€™s lately introduced mobile phone, the successor towards the competent HTC A single, is as appealing. Named the HTC 1 M8, the mobile phone is the greatest the corporation is offering, fitted having a easier central processing unit, elevated display screen dimensions, along with a two-camera lens video camera intended for catching correct level of discipline. A lot of the technical specs stay the same as the predecessorâ€™s – including online connectivity, storing capability, and display solution – nevertheless the new system is much more comparable to that relating to Samsungâ€™s most up-to-date giving and shortly-to-be main gadget. How do the two smartphones compare when stacked directly side-by-side, however? Explore the spec evaluation beneath for a closer inspection in thesoftware and hardware, and absolute abilities. Samsung smartphones are arguably the best smartphones. But HTC is not far away! case metal or plastic does not make a different when you put it in a phone case. camera let me help you out 4 mp vs 16 mp the more pixel the better quality at larger frame. look at 1080 mp vs 720 mp 50 inches tv everybody is going for 1080 mp for better quality. but the lg2 has the best camera on smartphones. just need to know your facts if you are going to do a product review. how come everything but how good the reception and phone sounds is rated? cause no phone company will guarantee good reception just service only. Stop saying it’s $199! It’s $650! 1. The camera is absolute junk. HTC did a good job of confusing me with this ultra pixel tech, twin camera system, and the ability to adjust focus, foreground, or 3D effects directly after taking the picture… but at the end of the day the images are low resolution and the colors are wildly inaccurate if you’re anywhere near a light source. The camera is also very inconsistent. I’ve taken multiple shots (one after another) of the same thing that turn out completely different. 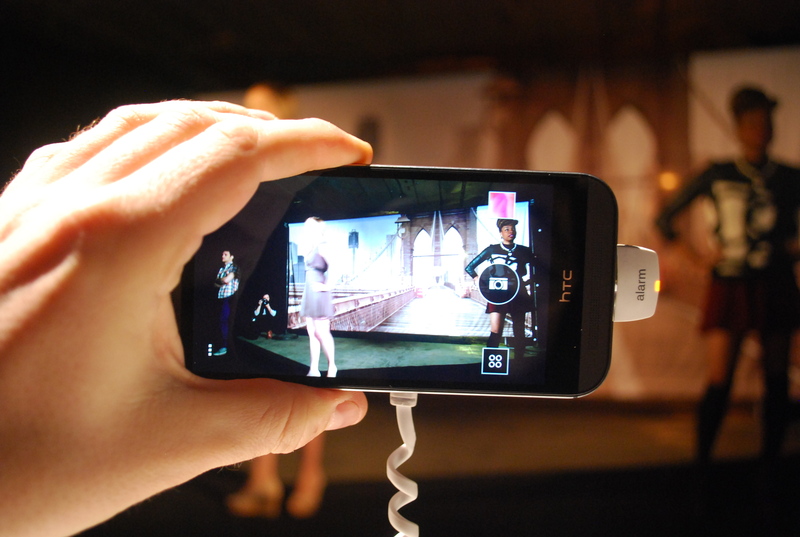 HTC put way too much emphasis on gimmicks rather than picture quality. Seriously, my phone from 3 years ago took seemingly better and more consistent pics than this. And FYI, if you zoom in (even one click) or use the HDR mode then you are prevented from using any of these effects that HTC touts. 2. It’s kinda hard to type on this phone due to the fact that the keyboard is (obviously) located right above the on-screen navigation keys. I’ve found that I end up hitting the home button by accident, instead of the space bar, at least a couple of times a day. It’s pretty annoying when you’re typing a message and you get booted out of the app entirely. I also think that the entire bottom of the phone looks messy due to the fact that there’s the rather large HTC bezel, with the 3 navigation keys, with the 5 ‘fixed’ app icons above it (for phone, app tray, etc). It looks like a strange upside-down pyramid thing and the vertical spacing is inconsistent with the rest of the app rows. 3. Sense 6.0 is, for the most part, pretty good. The design and some of the features are great, but I can’t help but think that they made the icons on the home screens too small. I just bought a phone with a 5″ display, yet the icons look like they’re sized for an old flip phone. Btw, the BlinkFeed app is too disorganized for my taste and as a result I’ve barely used it at all. I’ll probably end up turning it off altogether in the next couple of days. On the other hand, I’ve never had a Samsung phone so I’m a little concerned with the look and feel of the Touchwiz overlay. The pictures I’ve seen look a little cartoon-y. On the bright side, the M8 IS a beautiful phone (from the outside). But that alone isn’t going to prevent me from trading this in for the the GS5 in the very near future. Anyhow, that was just my honest opinion of the M8. M8 has the fast charge coming out for it. 75% faster charge got me sold. I love my m7. Broken 8+ Samsung’s, sonys, lg in 5 years. So far m7 lasting great. Why are you reviewing these phones if you have “limited experience ” with them and haven’t even tried the camera? Can I make phone calls with these “PHONES”? Why the primary focus is on BS like camera while reviewing a smartPHONE? You have the wrong picture here it’s a SMARTphone. A SMARTphone is supposed be pretty much a handheld computer with the ability to call and text. samsung is having problems with the camera/ finger print scanner/ and now a fire! i loved samsung but now i lost faith in them, come on i mean the gs5 looks the same on the front and like a toy on the back. the htc one m8 is sounding good to me, i’ve been with the galaxy thing since the first galaxy s, time for a change. and who the hell really cares about a heart beat sensor?! dumb. the htc camera can’t be that bad i mean you have to really try and look hard to see a big difference between gs5 and htc one photos. but thats just my opinion. The heartbeat sensor is specifically targeted to health freaks, so if you’re not one, just shut up no one needs to hear you say that. Actually a 4mp photo is 1) noticeable 2) uncroppable (ya get my point even tho it’s not a real word, right?) 3) small and 4) gives great detail in dark places, yeah, but if you mix dark and light, it’ll wash out the light areas and look completely white, like the sky. I think this is a more difficult choice than the reviewer makes it out to be. I have used/owned both Galaxy S4 and HTC One phones. In my experience the sound on the HTC is way better than on the Samsung phones. This applies to phone conversations and watching videos. I can view the HTC screen outdoors. I can’t see the Samsung screen in sunlight. The Samsung camera is much better. The Samsung software appears to be better polished. 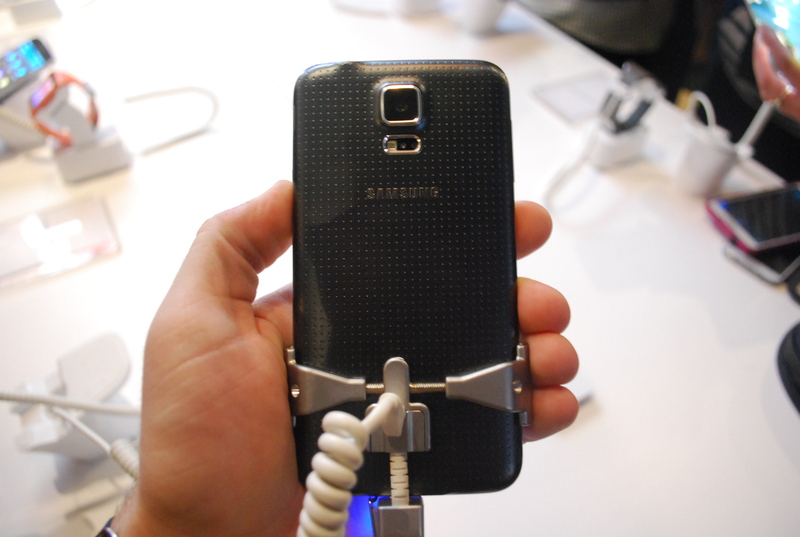 The Samsung’s replaceable battery is a big deal for me. I don’t care about the metal case at all. I believe we also forgot that the S5 is supposed to be an updated version of the S4 Active, which means that the phone comes with water resistant capabilities right out of the box. Also, who cares as much what the phone itself looks like when 80% of people are going to end up putting a case on it anyways. Do you really think the people of Wall Street can think that far? This time I going with other brands. if it’s not Samsung, or HTC, then the Mediocre apple product is your best bet…but there’s a reason why the big 3 are the big 3…just a tip. I don’t think either phone has dual sim slots. Have owned apple samsung nokia now going for htc. People if you really want to take really nice pictures buy a really nice camera. Kinda looking forward to the htc. Kinda looking for a little change. Variety is the spice of life. If you are the type of person that listens to the same type of music all day long chances are you have an apple product.. if you listen to many types you have tried other brands. My wife loves apple I got her one I liked it for a year.then I tried samsung liked android better. Apple ipads and all .apple store for gods sake. They work you. Might as well be one of the walking dead. Its amazing to me to see all the walking dead in apple stores around holidays.i mean really. Are you people kidding me.for a phone or tablet ?? Get a life. Sorry if I went on an apple rant….lmao. back to htc m8 looking forward to a phone actually built out of aluminium. Versus plastic. I am done with the galaxys. Samsung has got the annoying preferential treatment of its native Korea when it comea to specs, updates etc. This time I going with other brands. If you really care about image quality, buy a decent pocket camera or a DSLR. Phones couldn’t remotely compete on image quality with a dedicated camera. A phone is a phone. It makes and receives calls, holds all your contacts, sends and receives email and documents, and plays music. But, the embedded image capture functionality is only capable of taking casual photos – not high quality images. I’m going with the M8. The hardware and software is just better designed and, best of all, will make the Apple fanboys/girls drool. the HTC one was proven to be water resistant for up to 30 minutes by a youtube video test. google it. 32 GB is available on Samsung S5. With better camera megapixels. Only difference is outside case Metal composite vs Plastic Composite. it’s always better to buy what’s inside of electronic consumer products. Forget TWO year Contracts to make a Phone Company richer. Buy the BEST product. Alex, they don’t cost the same. HTC is in fact cheaper: it’s $199 for 32GB model. At the same price, Samsung S5 has only half the storage size (16Gb). Thanks for catching that! I’ll revise. @andy: well, why compare prices just on the storage size? The S5 has 16M pixel vs 5M for M8 — shouldn’t that matter as well? I’m pretty sure 2.5Ghz costs more than 2.3Ghz, there! The S5 is cheaper than M8. Well it’s not that simple. Smartphones these days are in fact priced by storage since the hardware remains the same throughout the different prices. Whether this is a good idea or or is up for debate. The M8 has a low megapixel because like the author said, it’s supposed to work much better in low light. Does it actually work? This author didn’t think so, but you should probably get your hands on it and see for yourself. Also, the processors are the same, both use the snapdragon 801, the samsung one is just clocked at a higher speed. Essentially samsung choose a higher speed while trading off battery life and heat issues (not saying the S5 has heat issues, just saying a higher clock speed produces more heat). HTC could have gone this route as well, but they choose a lower clock speed to preserve battery and have less heat from the processors. Whether the marginal increase in real world performance is worth the possible marginal decrease in battery life and increase in heat production is once again, up for debate. I used the M8 camera last night. Pure garbage when I compared it to an LG G2. im waiting for lg g3!! Really i have a htc one and a g2 for work and the g2 is never as sharp or fast and has less color accurate pictures. I actually have never beem inpressed with my g2. Also in the dark the g2 is pretty much worthless whole my htc jas alwaus been great. The htc does blur out sometime whem ypu zoom in tho. the 5mp is just the front facing Camera on the M8 not the rear. He also missed the fact that the M8 has, in fact 2 rear camera’s now. One is specifically dedicated to capturing depth and detail. 2.5ghz is a slight bit different from 2.3ghz, but it isn’t a true selling point, because the average user won’t be able to see any difference.